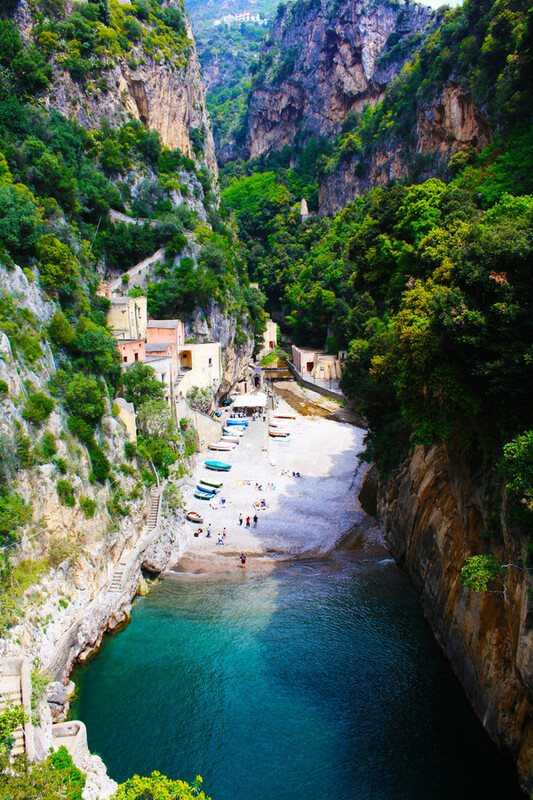 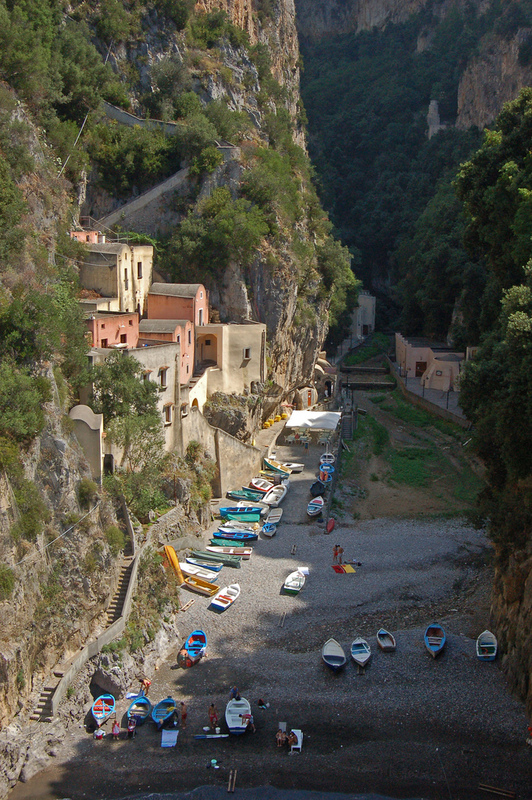 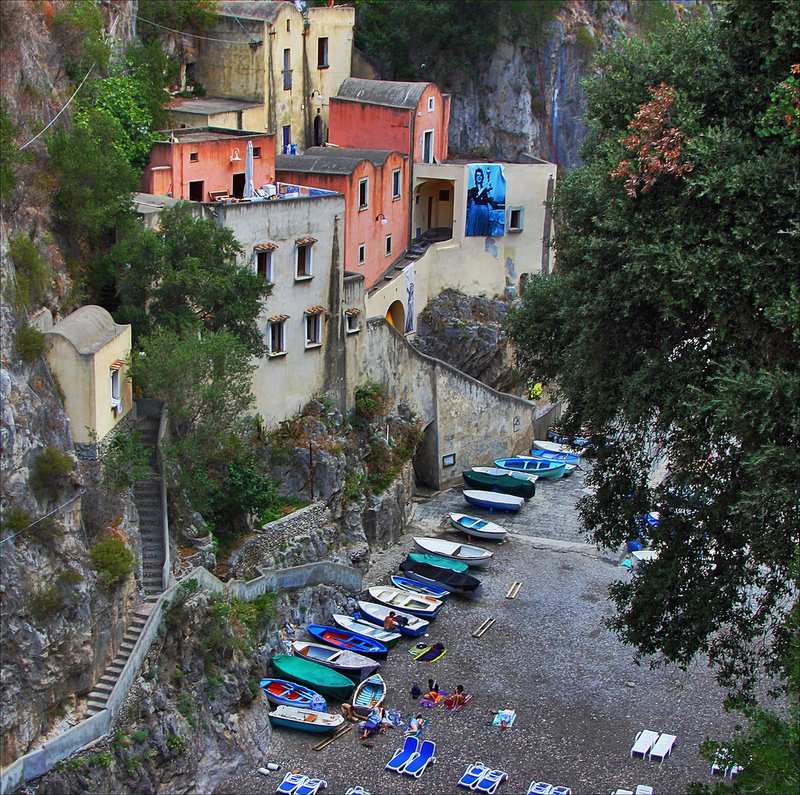 Furore is a town and comune in the province of Salerno in the Campania region of south-western Italy. 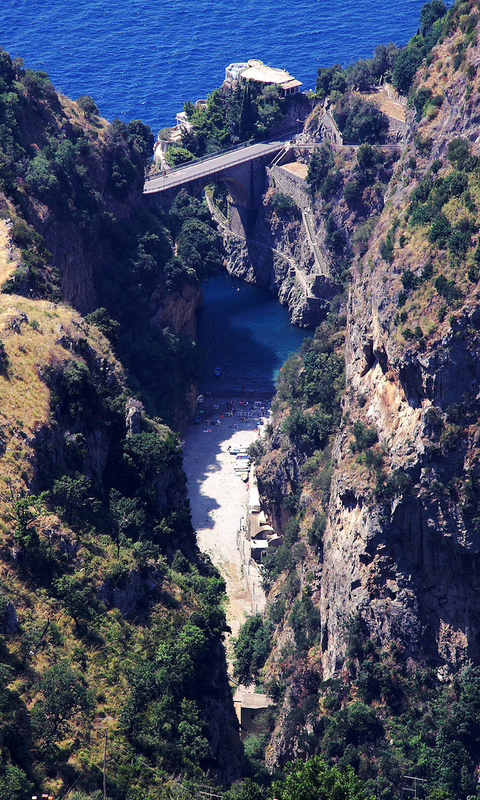 It’s famous mainly because of the Fjord – a small crack in the rocks, an ancient gorge that was a hidden place for the bandits in the past. 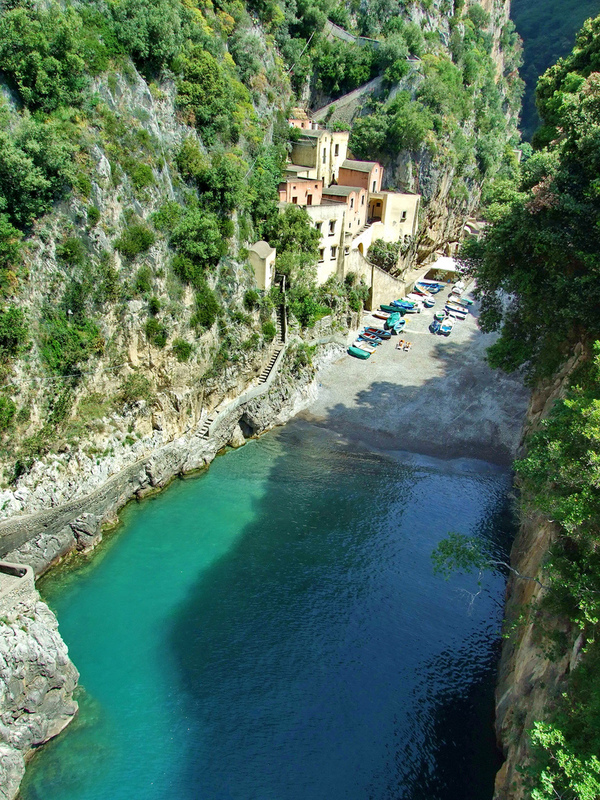 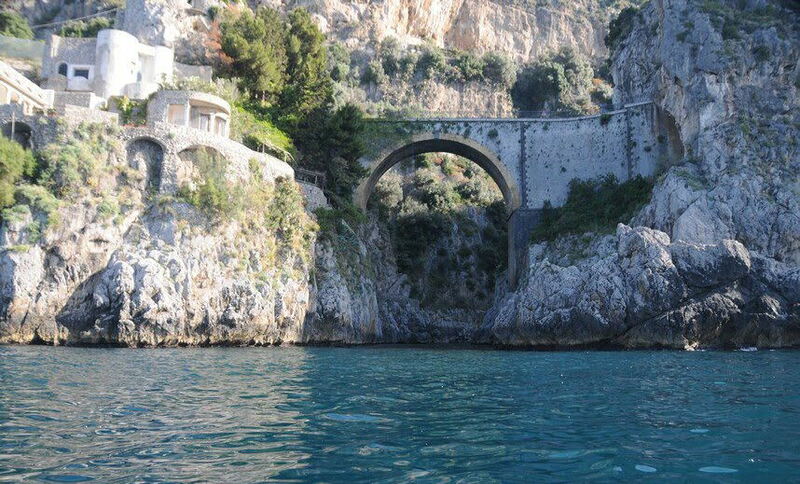 The Furore’s fjord is sort or natural port, where is possible to arrive only by the sea side, surmounted by a natural rock arch that perfectly complete the majesty of this place. 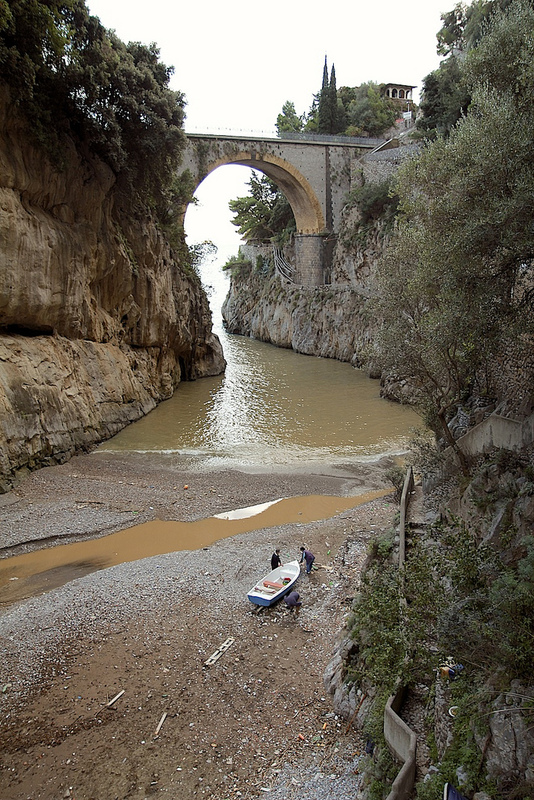 Sources: Wikipedia, amalfiguide, 500px, flickr 1,2,3,4,5.